The circumstances surrounding the book are truly a miracle, Saunders says. 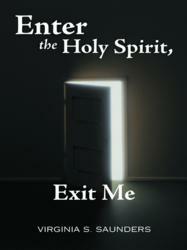 The book details the gifts that the Holy Spirit gave Saunders, such as praying in tongues and healing hands. Saunders also helps others longing for a closer connection to the Holy Spirit by detailing how they can embrace His light and move forward to an intimate relationship with God. Virginia Saunders reported on the growth of the tourism industries in Indonesia and The Philippines from 1972 to 1998. She was the senior correspondent for Indonesia for Travel Trade Gazette Asia, Business Travel News Asia and Pacific Asia Travel News for 12 years. In 1998, Virginia retired in the United States. Today, Virginia promotes and conducts wine tasting tours in Nelson County, Virginia, through her company, Virginia Blue Ridge Wine Tours. When she isn’t writing or working, Virginia enjoys landscaping, photography and reading and blogging about the Bible and the Lord.